Mineco Group COO Dominic Roberts announced the company plans on further investments in its own mines in Serbia and Bosnia and Hercegovina but also new mining investments. Roberts attended the Srebrenica Investment Forum and in the conference panel for Success case stories presented the results of Sase mine which is since 2006 owned by Gross company a subsidiary of Mineco Group. Since the the privatization and takeover by Mineco the Sase lead zinc mine increased production and currently employees 530 miners. UK based Mineco Group is one of the biggest investors in Bosnia and Hercegovina. In West Balkan SEE region Mineco owns three mines, Sase lead zink in Srebrenica Bosnia and two mines in Serbia, Rudnik and Veliki Majdan. In total Mineco employees 1400 people in all its operating mines. 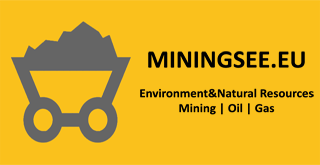 According to Roberts Mineco plans to expland the production capacity in Sase Mine but also plans the opening of Olovo cerrusite mine which is under development. Mineco is also investing in the research of the lead zinc location near Foca municipality in BiH. In Serbia in Bosilegrad, Mineco plans to open the new lead zinc mine and plans to hire 300 workers. Mineco invested 35MEUR so far in mining projects and plans further investments in research and exploration projects.